On International Women’s Day, it feels good to take a few moments to think about how far we’ve come — because in a lot of ways, we’ve come pretty far — but it would be shortsighted to stop there. Do you ever find yourself dreaming, “I wish I could make money doing [insert whatever it is you love doing]”? You’re busy keeping your family and your business alive and thriving. Your life and your schedule are full, and you’re looking for ways to maximize your time — and your systems — so that you can spend more time doing the things you love. Not sure about multi-level marketing? 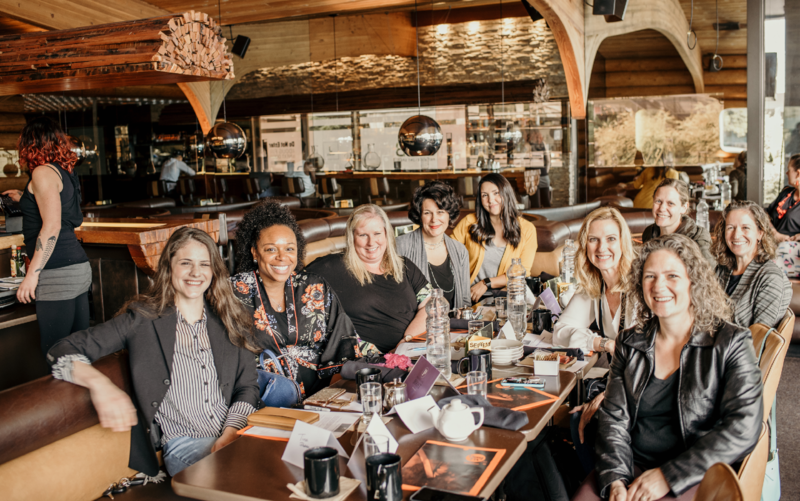 These businesses offer flexibility for moms, too.Creating a fun and flexible business model that works for your life — without the multi-level marketing. Becoming a small business owner seems to often be either a lifelong passion or something you just fall into. Designing an effective email newsletter is a low cost way to market to your audience. To maximize your time & effort, incorporate our newsletter tips to engage, and ultimately convert, your audience. Between building a business and caring for your kids, it can be hard to find the time to think about what you need, let alone scheduling time to follow through. You finally came up with that completely perfect website that you’re so proud of. But once you launched and opened your doors for business, you quickly realized that folks didn’t seem so interested in your services, after all. What went wrong? Take a deep breath, close your eyes, and think of your dream client. Our CEO Sharon Kan shares her take on why every woman needs these six mothers in her life. Can Self-Care be Your Secret Weapon? We're beyond excited to announce that on May 11, two incredibly powerful women and role models will be joining our second conference, Pepperlane Connect 2018: Path to Possibilities. Read on to discover their stories, and register below. Need to Give Your Business a Jolt? Whether it’s a steaming hot latte, a date with your favorite citrus scrub or cuddle date with your kiddos, every business mom has a trick or two up her sleeve that's her go-to when she needs to get herself energized to tackle her busy schedule. We all know we need social media to grow our businesses, right? But it can seem so daunting! There are endless reasons why entrepreneurial moms feel like they struggle to maintain that ever-elusive work-life balance. There may be no crying in baseball, but there's definitely crying in business. That’s been my personal experience anyway, and that of every woman entrepreneur I’ve ever worked with. There are 1,440 minutes in a day. Is This the Parenting Framework You’ve Been Searching For? Need an Extra Pair of Hands? Hire or Help a Mom! When you’re a mom, everyday chores from errands to laundry to meal prep can take up your entire day. When you’re a mom with a business… you’re lucky if you have time to change out of the clothes you slept in the night before! One of the things we most often here from moms who are just getting started with Pepperlane is that they don’t see themselves as women entrepreneurs, and they’re not sure they have what it takes to start a business or to be a small business owner. Today's Ask the Expert post is from Robyn Mather, a personal brand expert. Today's blog post comes from Hingham, MA-based virtual assistant Zoe Pirnie, who shares how she helps businesses solve email problems big and small! Here's some research that took us by surprise: the odds of making contact with someone who makes an inquiry to your business on the web drop dramatically over just the first 5 hours. Yes — You CAN Start a Business. And the Best Time is Now! Ask the Expert: How to Ring in the New Year on a Budget! We know many mothers are excited by the possibilities of flexible micro-businesses (small businesses that allow you to work on the schedule you determine), but many aren’t sure exactly what skills and services they could sell. Announcing the Winners of Pepperlane's First Build a Business Competition in Lexington! Introducing Payments on Pepperlane: Get Paid, Faster! This Pepperlane Business Will Inspire You to Get Started! We know the thought of starting a business can be intimidating. It doesn’t have to be. Sometimes it just starts with a skill, a passion, or a crazy idea. Or sometimes it’s the answer to a problem. You’ve decided to take that special skill of yours and turn it into a business. Exciting! Do I Have to File Taxes for my Small or Side Business?